Last week tipsters either scored 7’s and 8’s or 3’s and 4’s. That’s the sort of round it was with some unexpected results. Those that somehow scored an 8 or a 9 really have little understanding of the game! J Experience tells me to expect the unexpected again and tips this week might be more from the heart and gut feel rather than using any logic. Logic made up last week’s debacle. Let’s try something else to see if we can improve. The Tigers might just be pumped enough after last week’s historic win against Carlton to go 2 from 2 and beat the Saints who created their own bit of history by going down to the Gold Coast Suns. Both teams have strong midfields so it will be forward entries and conversions on the night that will determine the outcome. Some early wins can see Richmond make the finals – incentive enough. The Tigers lost a few close ones last year and the fact that they held on to beat a fast finishing Carlton shows they might have gained some nerve. The Saints will be bringing back players that missed last week which will strengthen them midfield and up forward. 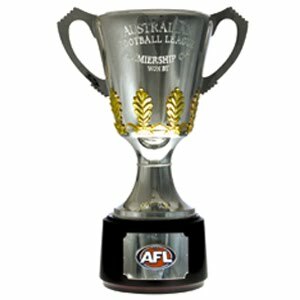 The odds of $1.35 for Richmond and $3.20 for the Saints are dangerously generous. The Suns scored a great victory last week against St Kilda and must give themselves a chance against the Swans, even though it would be a stretch of the imagination to think they can win it. Sydney unfurls the premiership flag this week at the SCG so it will be a nice end to the day to also win their 2nd game. Whether they are good enough to win back to back premierships is a difficult question to answer. It’s a weird stat but the Suns will be making their 1st appearance at the SCG and that fact, as well as it being bad form to spoil somebody else’s premiership party, makes it hard to pick them to win. Both teams had good wins last week but it’s hard to judge just how good the Bulldogs are, considering the opposition, Brisbane, left their A game behind. Fremantle won a much harder contest overcoming the Eagles who were prelim finalists last year. I kept underestimating Freo last year, I’m in a purple haze after last weekend and somebody has to win. Freo hasn’t beaten the Bulldogs away from Perth for some years although they belted them at Subiaco last year by more than 100 points. Fremantle has also been winning at Etihad, something it couldn’t do for donkey’s years. So many stats to consider but the gut feeling is the Dockers will prevail. The Crows succumbed to Essendon after they started so well and this is a tough travel game for them to the Gabba. The Lions will not be as easy to beat as last week and on their home ground with their supporters they should give Adelaide a better contest. Probably good enough to win. Midfield players from both sides need to lift from last week. Games between these two have always been close but the home ground advantage should have tipsters penciling in the Lions. We all know the Demons will come out full of froth and bubble in this match just to show their supporters that last week was an embarrassing aberration. Can they improve by 100% which they will have to do to beat the Bombers? No, but let’s hope they play a lot better. Bookies are quoting the Dees at $7 which might tempt some Melbourne supporters seeing they beat Essendon last year by a goal. Tipsters should save their money. Watching the Giants last week I was impressed enough by them to give the team a chance against the Power. Then again, there wasn’t a lot wrong with Port’s game against Melbourne, a win that has them sitting on top of the ladder even though we know that will be short lived. Port at home? Hard for an up and coming team like GWS to win here even though they beat the Power last season which caused a coaching change as well for Port. The Giants are not quite there yet. The Cats and the Kangaroos played some wonderful football last round, one winning and the other just losing. North – angry and upset after the loss. Geelong – tired and having to lift for another big effort. Expect a close game as both teams are coached by twin brothers who espouse hard footy. North beat Geelong last year in their only clash but the Cats look a little quicker on the ground than they did last season as well. They will need that pace against the Kangaroos who can win if they stop stupid turnovers at crucial times. At time of writing not sure who is in for the Pies but regardless of whether they have a full team or not they have a lot of trouble beating Carlton during the season….well last season at least when they lost both games, one by 10 goals. Malthouse has revealed that when he left Collingwood it was not a ‘nice’ departure and the press have built this game up to be more about the coaches than the players I guess. I’m not sure where the Carlton goals will come from with Eddie Betts out this week and just who can counter Cloke up forward for the Pies. I think Collingwood have more avenues to goal and the AFL rule makers have retained the one that says the highest score still wins the game. Eagles and Hawks – birds of prey - but will be teams of ‘pray’ this weekend possibly looking at higher powers to help open their win accounts for season 2013. Hawthorn on a downer after giving away the game against Geelong will need to play at their best to defeat the Eagles at home regardless of injuries to both sides. Weather forecast is for about 28C and maybe some rain. The Hawks have tried hard to beat West Coast at Subiaco and will struggle again. If the travel doesn’t get you the heat will. Past games have been all close and this one will also go to the wire and be close to a draw. Rumour is that Hodge is back for Hawthorn and that’s a big ‘in’ for them. Tipsters can stick with home ground advantage here.